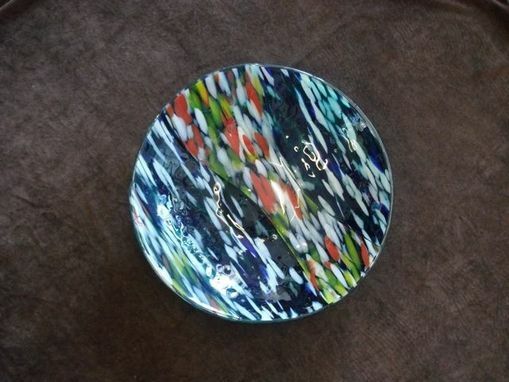 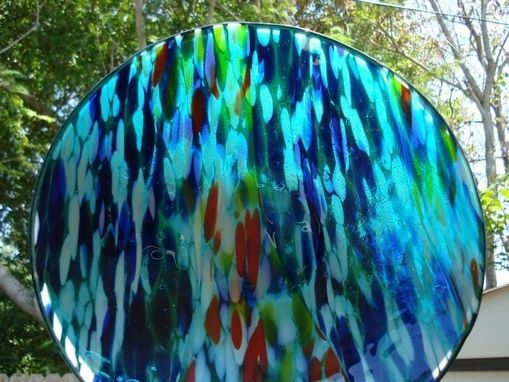 This hand-made glass bowl was painstakingly crafted with two layers of patterned glass - each similarly-patterned layer in a different color scheme , fired twice to create this decorative AND food-grade vessel. 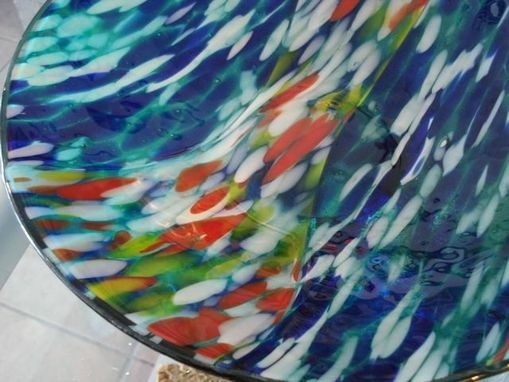 While it's durable enough to be dishwasher-safe, this striking piece of glassware may just very well endear itself enough that you'll opt to tenderly handwash it after use, whether you opt for it as an ornamental statement or the setting for that well-loved main dish. 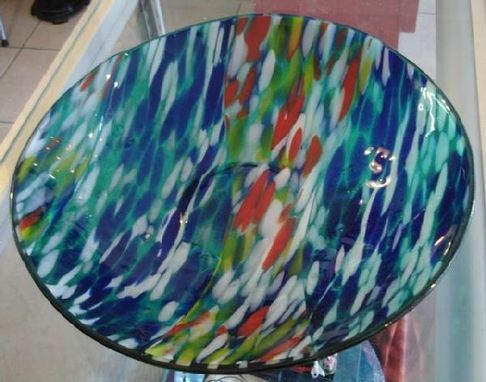 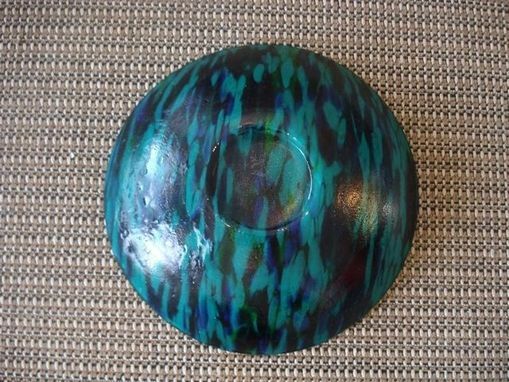 The bowl measures 14'' in diameter and 3'' in depth.